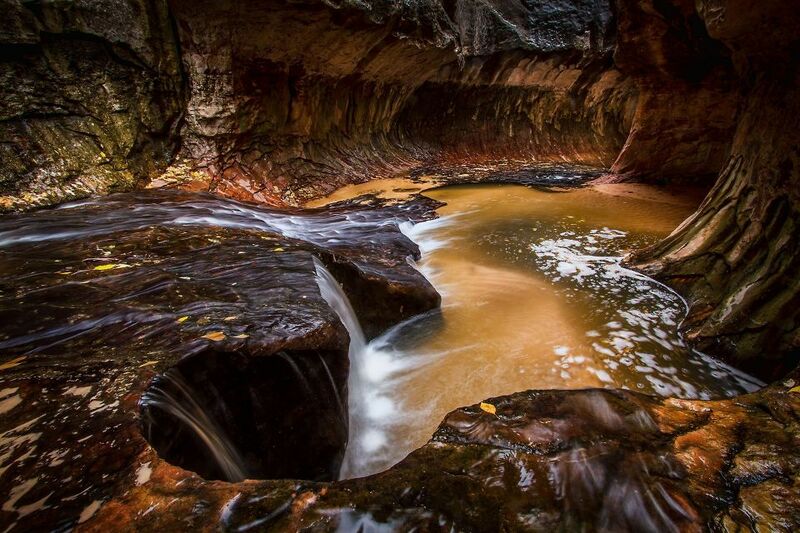 A favorite destination and one for the bucket list of Utah Landscape Photography is The Subway in Zion National Park. National Park photography often appeals to many photographers due to the vast amount of scenic photography locations. You’re almost certain to come away with a few keepers. This trip to The Subway had me traversing a river during a snowstorm for four hours to reach my destination. Granted the famous emerald pools in this location are no more due to recent silt deposit, but nevertheless the scenes were amazing.